Come with us as we showcase our equipment and what it does. The heart of any sandblasting shop is its’ air supply and boy, do we have that covered! 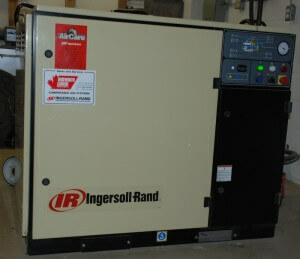 This is our Ingersol Rand 25hp screw compressor. It’s capable of providing 120psi air pressure and 120 cfm of air flow. That’s a lot of air, but in order for it to get to the cabinets it has to take a little trip first. First stop, the air tank. In order to smooth out the air supply and give the compressor an occasional rest, a 300 gallon (~1350 litre) air tank stores the air until it’s needed downstream. Next stop, the refrigerated air dryer. 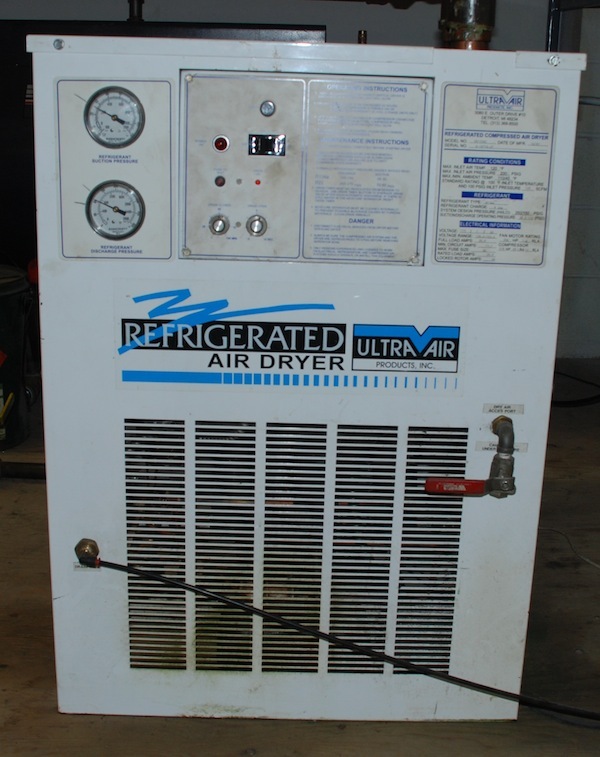 This is where the hot and humid compressed air gets chilled and all the moisture removed. Hot or “dirty” air would wreak havoc with the dry blasting cabinets, so this is a critical step. From the dryer it’s out to the shop floor. 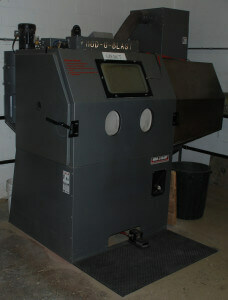 We have 5 suction type cabinets, manufactured by MOD-U-BLAST of Edmonton Alberta. These are industrial spec and are built for continuous use in a production environment; perfect for our application. All the cabinets have the same height, width and depth dimensions, but three have had extensions added to allow for bigger projects. We equip the cabinets with high quality rubber blast gloves, a professional style blast gun with a boron carbide nozzle and an air wash gun to help dust off your project when you are finished. 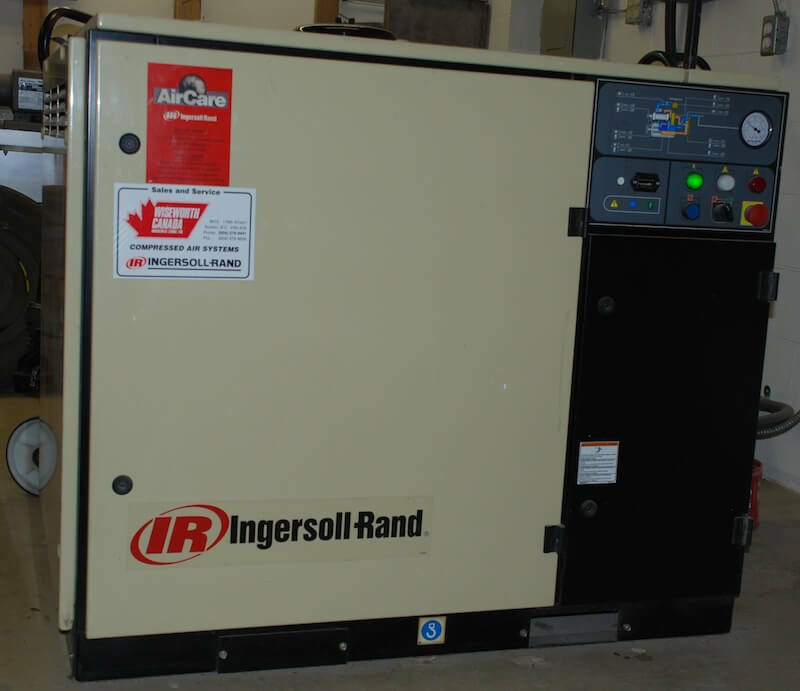 For your safety, each cabinet is equipped with overlapping, positive tension doors and integrated air shut off valves. When any cabinet door is opened, the blast gun is placed in a “No Blast” state and remains that way until all the doors are closed. “Regular” cabinet working dimensions: 75cm (30 in) tall x 75cm deep x 92cm (36in) wide. “Extended” cabinet working dimensions: 75cm (30) tall x 75cm deep x up to 230cm (90in) wide.